You couldn’t get a more grand setting than Leeds Town Hall for a wedding and Vicki and Tom’s wedding party made the most of it. The sun shone and everybody had a great time before heading off to Rothwell for a real good knees up! 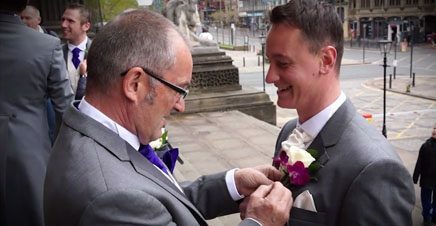 Vicki and Tom Wedding Video at Leeds Town Hall from Yorkshire Wedding Videos on Vimeo.